This is handmade minimal bracelet mens and womens suitable. 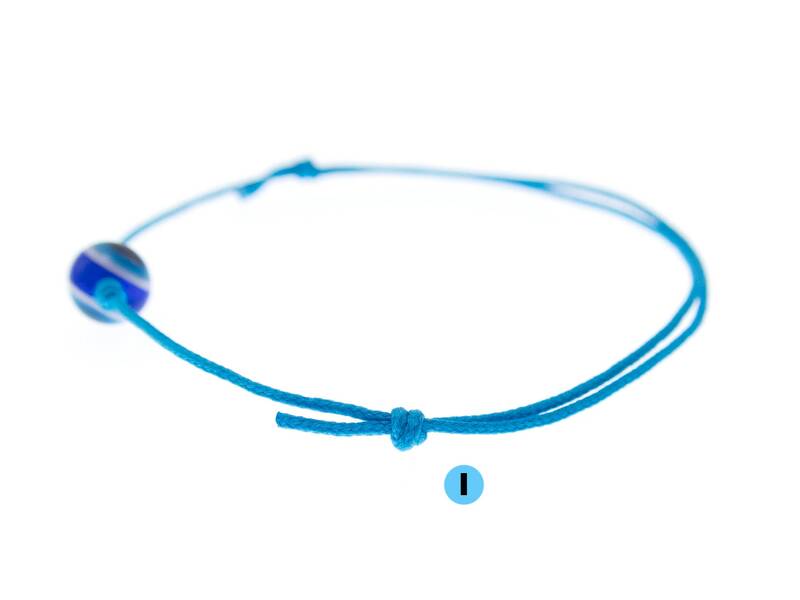 We created it as minimal friendship bracelet with evil eye and tiny thread rope. 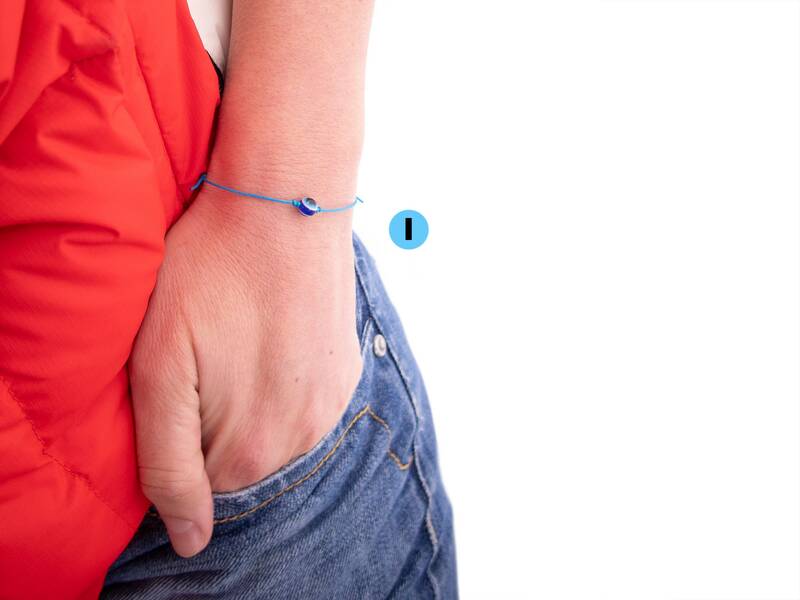 You can adjust the size of the minimal jewelry bracelet with knots, when you slide them on the string. The bijoux is very delicate and you can wear it everyday, all day long. 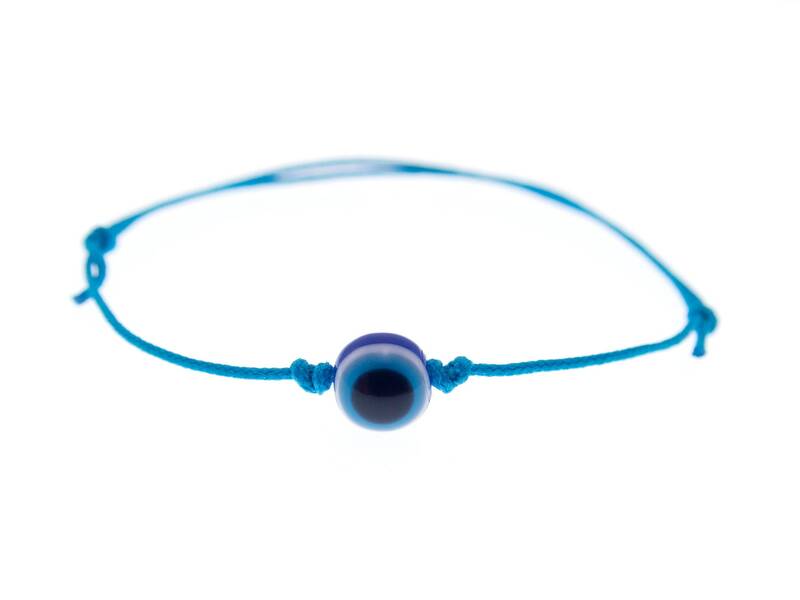 * This minimal friendship bracelet can be used of men and ladies. It is unisex. * 3 With nice detailed hamsa (hand of Fatima) bead and the small eye in it. * One size fits all. It is not just amulet minimal bracelet mens, but womens too. The perimeter can be adjusted from 13 cm (5 1/8") to 23 cm (9 1/16"). 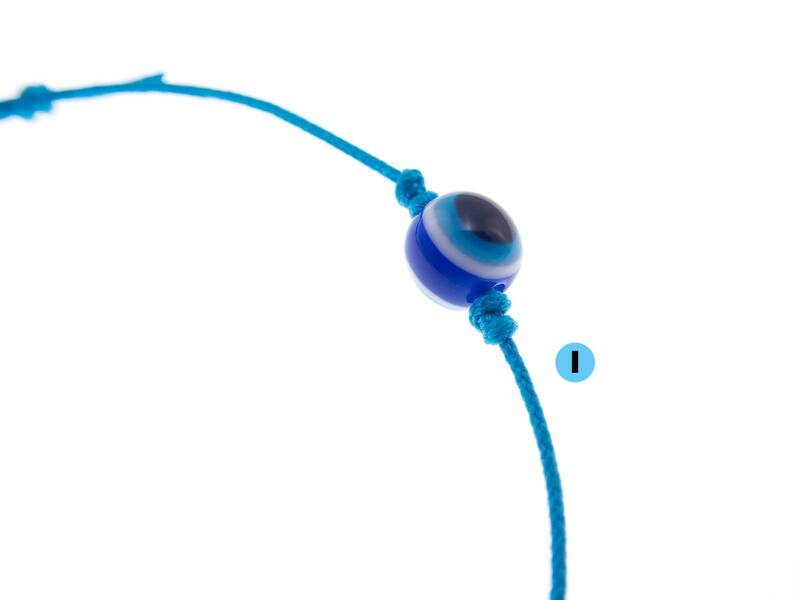 * The eye small bead is 0.4 cm (3/16") in diameter. * Big bead is 0.6 cm (1/4"). * The hand bead is 1.5 cm (19/32") to 1.3 cm (1/2") to 0.3 cm (1/8"). * The diameter of rope 0.7 mm (1/32"). * Eyes are of glass. 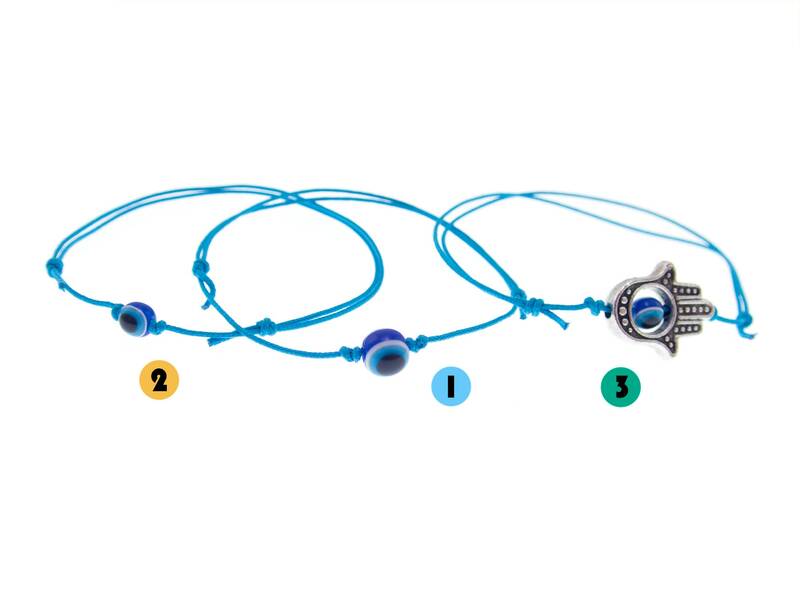 The colors of beads are: black, sky blue, white, blue. * The hamsa is metal zinc Jewellery bead, looks the same in front and back. 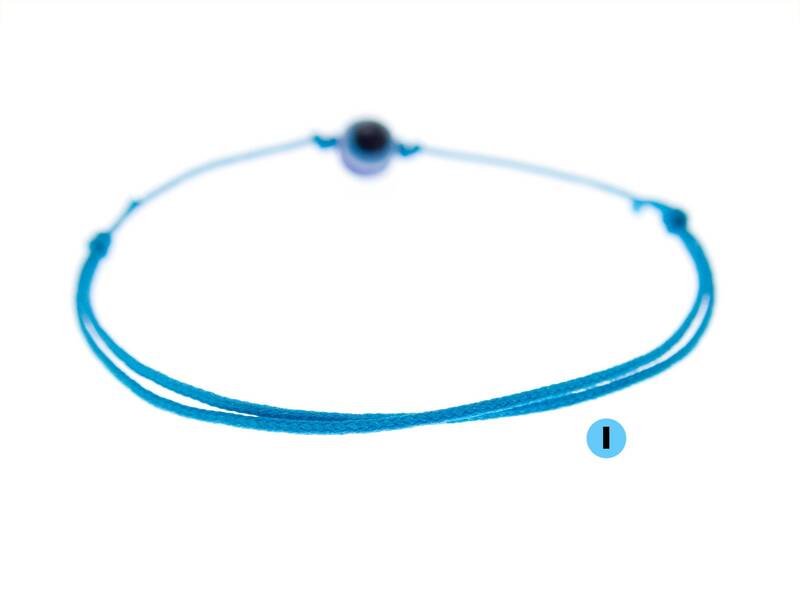 * The turquoise blue super thin string is polyester.